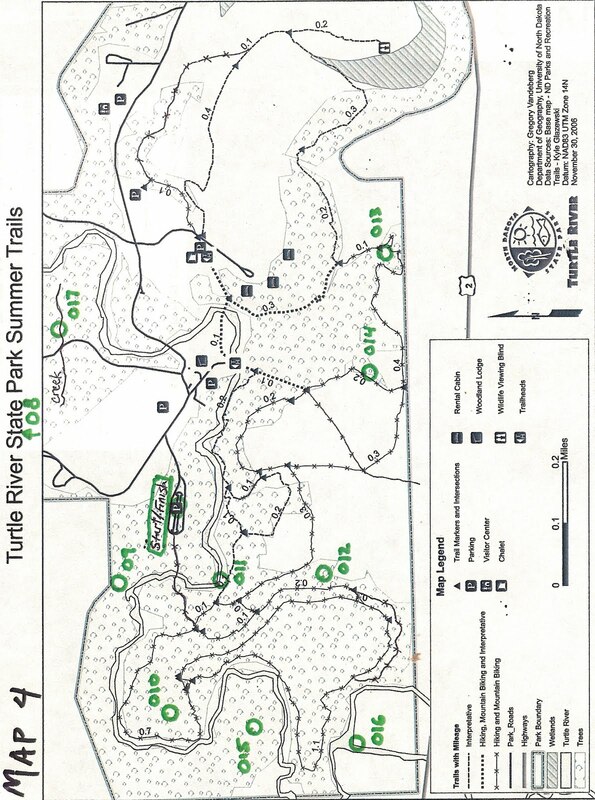 We've got permission from Turtle River State Park to leave up the 10 orienteering points from END-SPAR as an O-course for the summer. Get out there and practice your nav! Go camp in the park and do it at night! 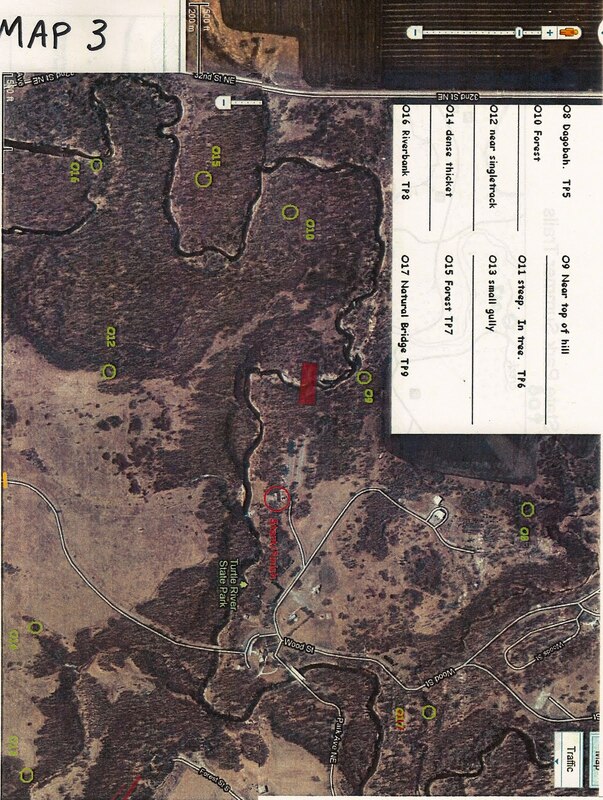 Map 3 (satellite image) and Map 4 (trails map) are below - remember that map 3 is missing point O11, so refer to map 4 for its location. Click on the map for the full size version and print it off. Be careful out there folks, and have fun! Lots to report this month, so I'll get right into it! To begin with, planning is full swing for END-SPAR (the Extreme North Dakota spring primer adventure race), a six hour race to be held on mother's day out at Turtle River State Park. Not only do we think doing an adventure race is a wonderful way to spend mother's day, but we'll have special treats for all the mothers that make it out! The race is a great entry point to the sport for beginners with a course that is both challenging and accessible. Some new details are now popping up on the event page and lots of relevant race content (including this excellent post on navigation) is being added to the blog, so make sure to check it out. Two things that particular mention are the decision to run a free navigation and pack-rafting clinic the saturday before race weekend (April 30th) out at Turtle River State Park, and the wonderful news that Alpackaraft has signed on as a sponsor for both the spring and fall races. 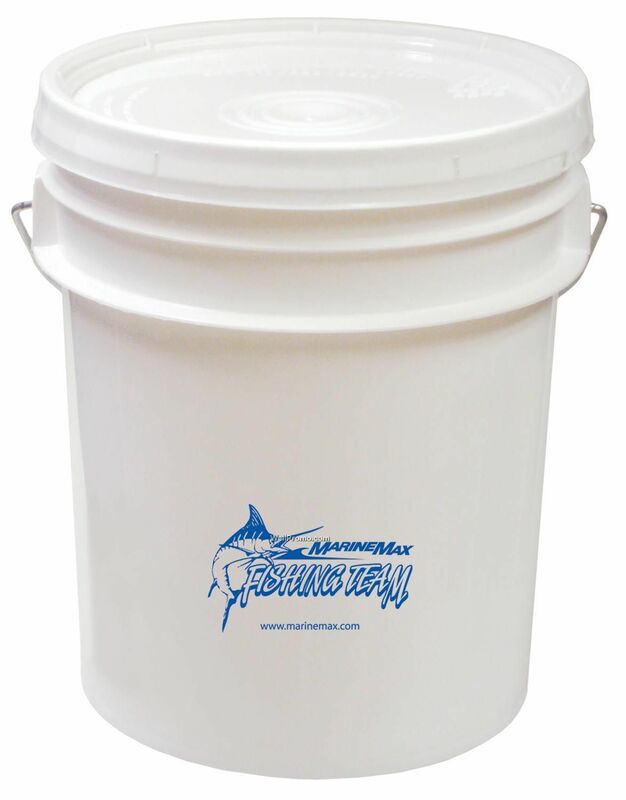 They're sending two packrafts ($500 value) for us to give away - one of which will be raffled of at the spring race. And DON'T FORGET - early registration for the spring race ends on April 15th! Ibex - when we race, probably 75% of the clothes we wear come from these guys. Mostly merino wool - awesome temperature regulation, no stink. When you don't want to carry a change of clothes, you better be wearing Ibex. Inov-8 - the only shoes I will ever wear, whether doing 100 meter sprints or 100 mile wilderness treks. These guys get it right. They make some sweet racing packs as well. Ergon - once you ride with Ergon grips you will never go back. Numa - styling shades to be sure, but this video really says it all. Power to Go - The best energy food plus pick-me up we've tried, and we've tried almost everything. Nuun - No sugar, all electrolytes and vitamins. Great taste without waste. Swiftwick - the best socks you'll ever wear happen to be made in the USA. Awesome. On the Ground UP adventures front (website coming soon at www.groundupadventures.com), we've submitted our boat-house proposal to the city of Grand Forks, so another reason to keep your fingers crossed. With a little bit of luck and a lot of hard work, this time next year we could be breaking ground on a facility that will go a long way towards improving (and creating) non-motorized recreational opportunities within the Greater Grand Forks Greenway. Our initial thought is to have canoes, kayaks and stand up paddle-boards available for public use and to provide free or low cost instruction in safe river use - but who knows how big this could get? Maybe there are some closet rowers out there just waiting for this thing to be built so they can start their rowing club. Who knows, maybe in a couple of years folks out for an early stroll along the bike trails on some crisp fall morning will be treated to the methodical call of the noble coxswain. One can only dream. If you're keen to see this happen and/or want to show your support - please send me an email and I'll make sure to include you in future announcements about the project and keep you in the loop as far as the details go. On a more personal note, after having to cancel my planned trip to New Zealand this spring and seeing what I'd missed, I felt like I needed to get something lined up ASAP. So I've planned my next mission - an attempt at a one day jaunt through the Sioux-Hustler trail in the BWCAW. I'll be tagging along with (and probably behind) Grant Mehring for the 35 miles which sound just about perfect (rugged, muddy, and with challenging route-finding). Go ahead, tell your friends about us. 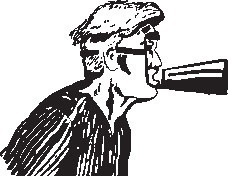 Use a mouthpiece . A friend of mine who is an experienced racer and top navigator for a nationally competitive team has offered up some awesome tips for fledgeling teams when it comes to navigation. To be honest, as he mentions, navigation is the aspect of AR that is the most lacking in rookie teams. Someone with even a very recreational level of fitness can often finish in the middle of the pack or even better in sprint races if they are paired with a good navigator. If you are patient and can read a map and compass you have the makings for a great navigator. Check out his thoughts on the subject and get some great ideas for ways to get out there and improve your nav skills. So i'm not saying not to get out there and train - i'm just reminding you that AR isn't like other racing - this isn't some glorified triathlon. In AR, fitness will only get you so far. In fact, without good nav, the fitter you are the more lost you will end up getting (i.e. the faster you'll be running in the wrong direction). Cheers everyone! Saturday, April 30th we'll be hosting an informal navigation clinic and pack-rafting primer out at Turtle River State Park. you can come out for one or both and stay as long as you like. We'll plan on starting things at 10 am near the chalet (subject to change - keep checking the website) with navigation, and then blow up the boats around 12:30 or 1 pm and paddle a section of Turtle River. Depending on the river level, this might be pretty exciting. It will certainly be cold, so dress appropriately, and expect to get at least a little wet if you're doing this portion. 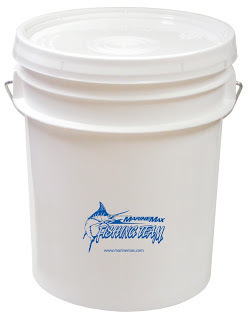 You see five gallon bucket, I see 3 pair of hand paddles! Bring your own lunch/snacks/pack-rafts/pfd's and paddles. If you want to dig up a five gallon bucket and bring some elastic/rope/webbing/surgical tubing we can do a little demonstration on making hand-paddles as well. And I'll bring my alpacka boats so you can check these out and see what you might want to save your pennies for. Also, i'm hoping to post a sample map of the turtle river area in the next few weeks with 4 or 5 checkpoints labelled on it, and then go hang these checkpoints. This will let folks get out there and practice navigation on their own. The checkpoints of course will not be the ones used for the actual race. Both the navigation clinic and the group pack-raft are free once you get into the park, although now that we're a non-profit and have lots of other (less revenue generating projects) afoot, we'll certainly be accepting donations if you feel the workshops were of good value and are so inclined. Please RSVP at endracing@gmail.com so we can have an idea of how many to expect. Happy training everyone - remember, only two weeks left of early registration!